I am loving all of these awesome toys we get to share with you guys recently! There are so many toys for so many age groups it's awesome. 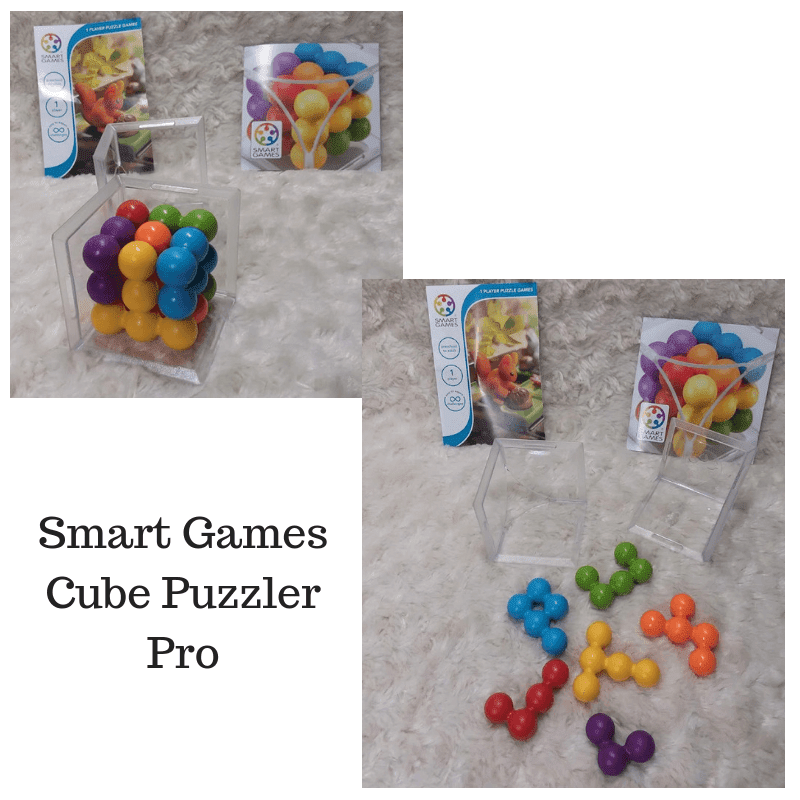 We are working with SmartGames on a review of a few of their cool games. Not only are we working with them for our holiday gift guide they are also sponsoring us for our Sneaky Sanya Mission. This years' sneaky Santa will be absolutely amazing. I can't wait to see everything all together and the look on the family's face that gets to participate. I hope you guys can see our live posts on the way to the delivery! Back to super cool Smart Games. Smart Games has single player games that help build skills like spatial insight, problem-solving, and planning. 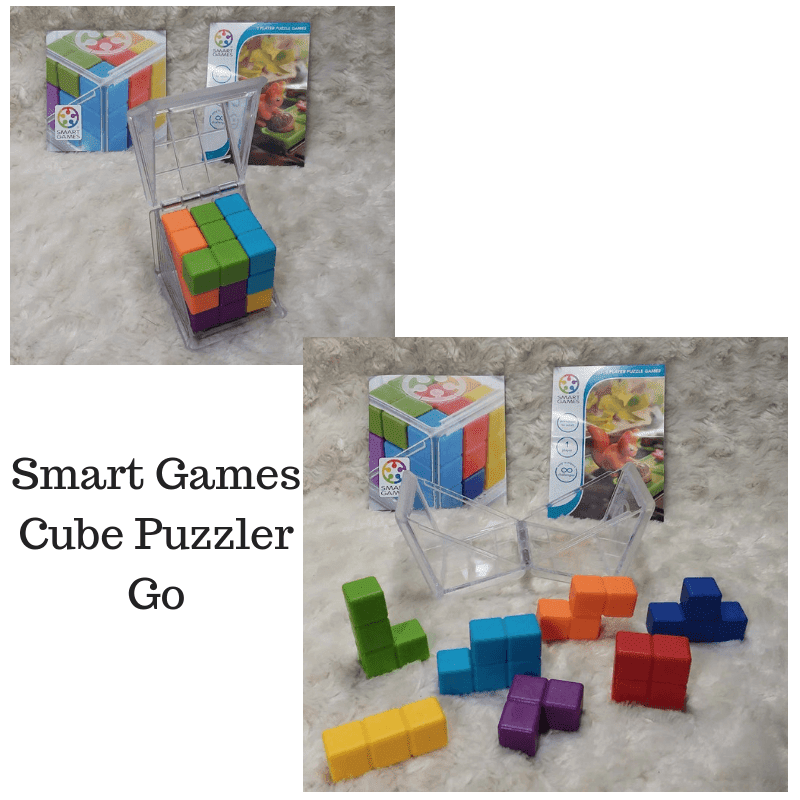 The Cube Puzzler Go is a cube building game that comes with 80 challenges from easy to hard. On the game, shapes would fall from the top of the screen and the player had a few seconds to rotate the pieces and get them into place. The point was to fit the pieces together to make solid lines across the board to eliminate them. I think it could have gone on forever. I was pretty awesome at it if I don't say so myself. The longer someone plays the faster it goes. Just like the Cube Puzzler Go, it comes with 80 challenges at different levels from easy to hard. This one is a little bit more difficult because of the round pieces. It's not hard just more challenging. I tried putting it together without the book and all I could think was, there is supposed to be 80 challenges, how am I not coming up with 1?? It was fun, and I got it, eventually. Both of the games come in a clear case. The case for the cubes doubles as a game board. It's awesome for easy storage and mobility. I love these puzzles. I love it that these games have different age levels and both work on cognitive skills. This reminds me of a game I played when I was little on my Super Nintendo when it was new! If that doesn't say my age, nothing will!! The similarity is with the game pieces. The player has to find the right combination of pieces to make the pattern in the challenge. The easy to hard levels in cube puzzler games mean that any persons skill level is compatible. Keep working at it to get better and better. The Cube Puzzler cames are 1 player games but are fun in competition. Using a timer makes it fun. You and a friend can get a stopwatch and see who can do it faster. These are an awesome relaxation method too. Taking a little brain break from a busy day can really help get back on track. For kids and adults. 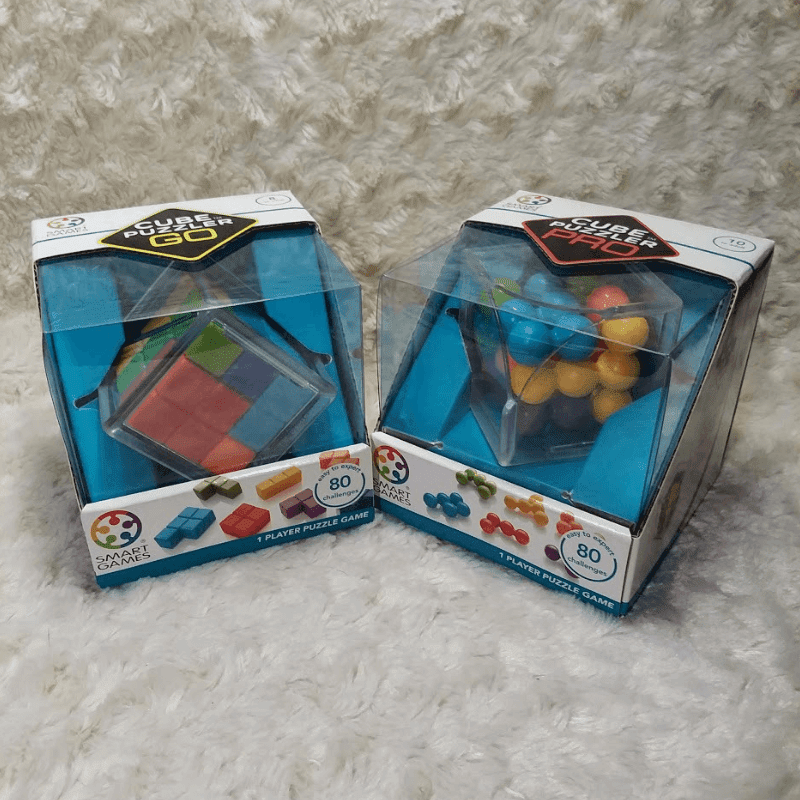 The Cube Puzzler Games from Smart Games make great gifts and stocking stuffers! Check them out on their website and on Amazon!! I received these products for free to facilitate this review. If you have any questions about this product please feel free to email me directly.